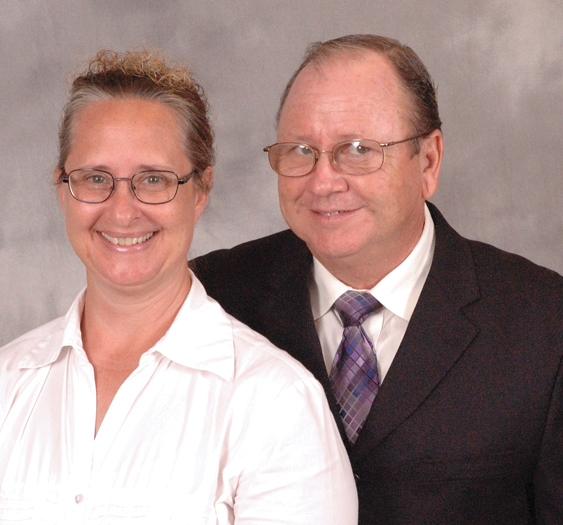 Mike and Lisa Long pastored in Houston, Texas, for six years. Brother Long also was a volunteer chaplain for seven years. After 3 AIM appointments to Botswana, Africa, and Vanuatu, they were appointed Intermediate Missionaries to Vanuatu in 2001. They were sent to the northern district to reestablish the church in Luganville, reopen Zion Training Center (a pre-Bible school) and establish new works. In the duration of their term, they pioneered two new churches, established 3 preaching points in nearby villages, and there are now 8 new churches in the northern district. Zion Training Center has seen 25 of its students receive the Holy ghost and 12 are presently attending ACTS II Bible School in the capital city. Sister Long has had the opportunity to teach Sunday school seminars in several of the islands and villages. She also teaches full-time in Zion Training Center. Mike’s birthday is and Lisa’s birthday is .